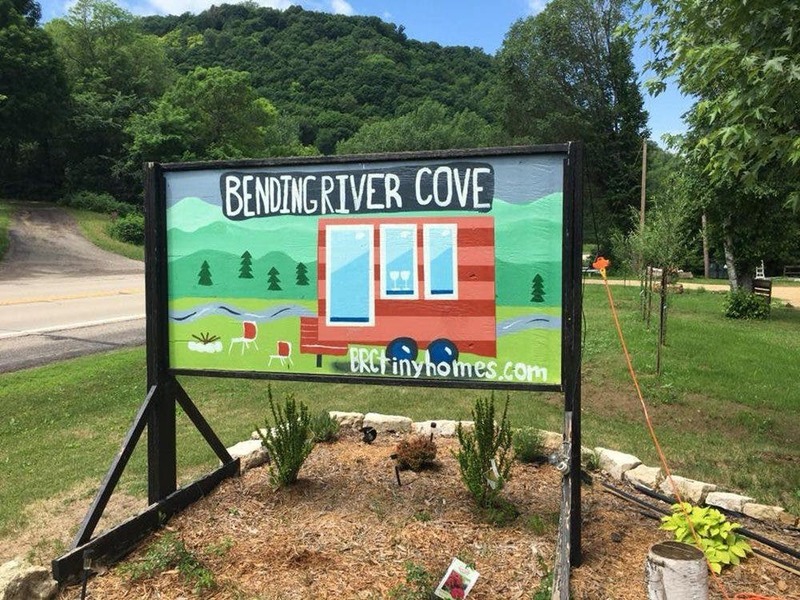 If you love staying at Bending River Cove in Lake City, Minnesota, you might be able to take one of the tiny resort homes home. 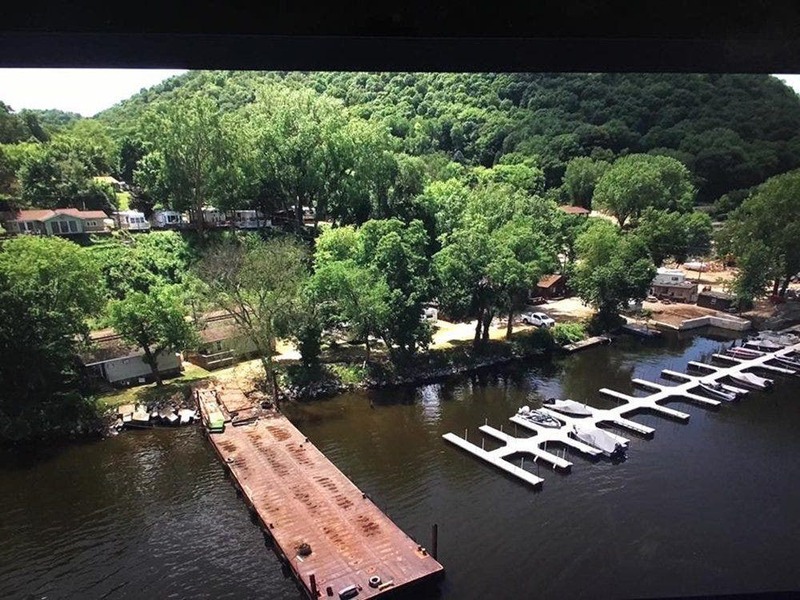 Bending River Cove sits on a bluff above Lake Pepin in the southern part of the state. 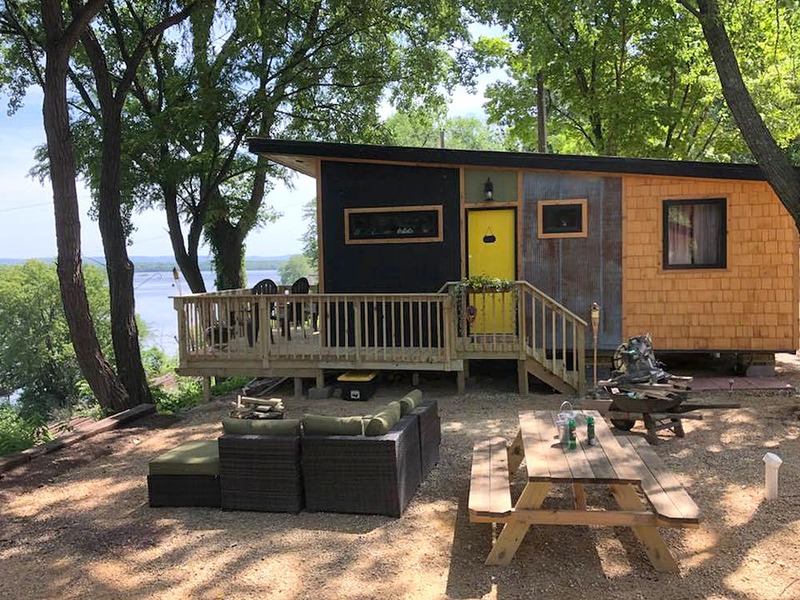 This tiny house resort has an interesting mix of homes to choose from including a contemporary tiny cottage and even a trailer named after a Queen song. 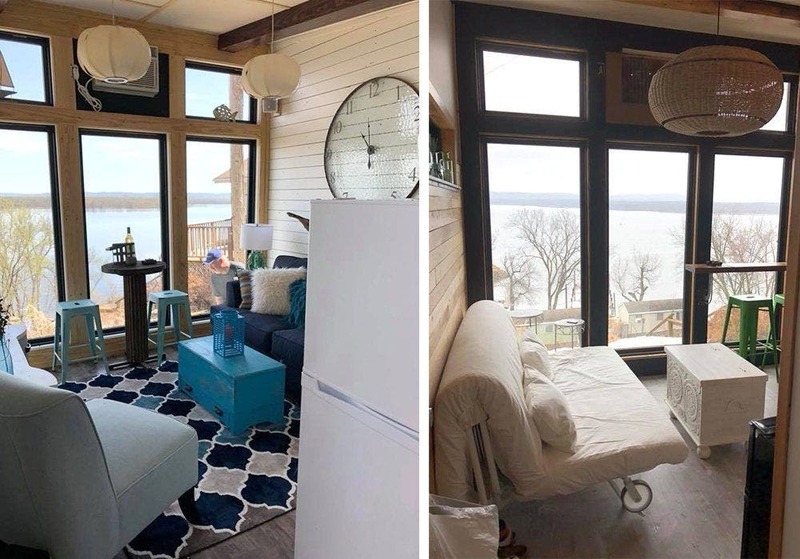 The tiny houses at Bending River Cove resort have views of Lake Pepin. Most of the homes were built by owner Mike Burke out of local materials he has collected over time. 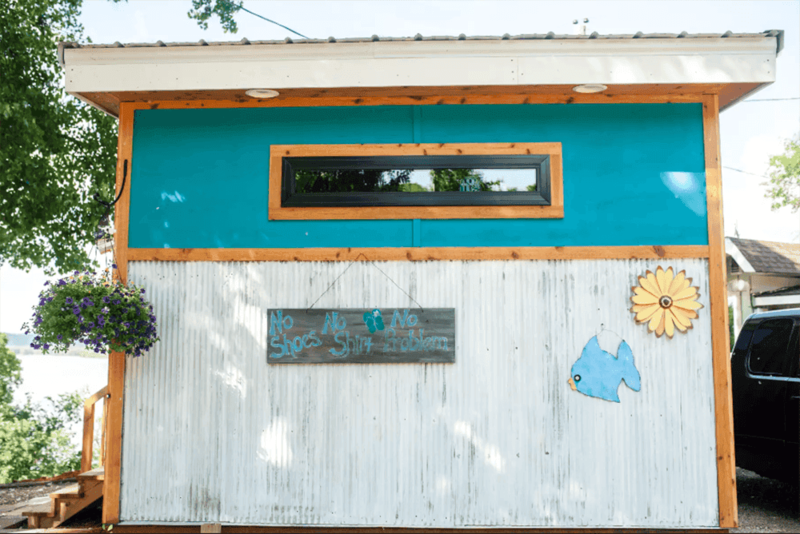 The interiors were designed by co-owner Denay Kelly and Jennifery Satory with handmade decor from local artists. The resort has a total of five lakefront homes and a cottage. Each little house has its own fire pit, barbecue, linens and cooking utensils. The resort has a hot tub for those chilly Minnesota winters and direct access to the lake during the summer. The houses and cottages range from artsy to contemporary. What makes this resort unique is the variety of homes to choose from. 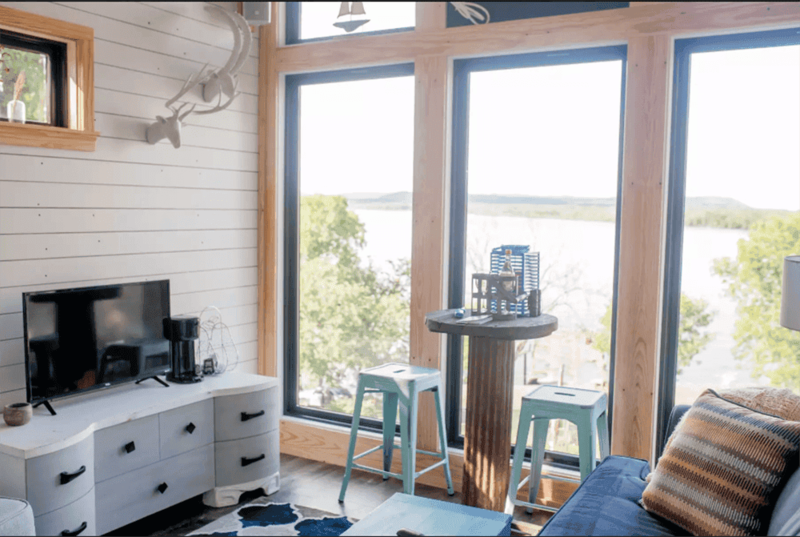 The 200 square foot Birch Studio has birch tree pillars, the Homegrown Honey house has a shed roof and loft, and the Bohemian Rhapsody has a wall of windows that looks out over the lake. The band Queen is a theme here and Fat Bottom Girls might be the most fun house of all. 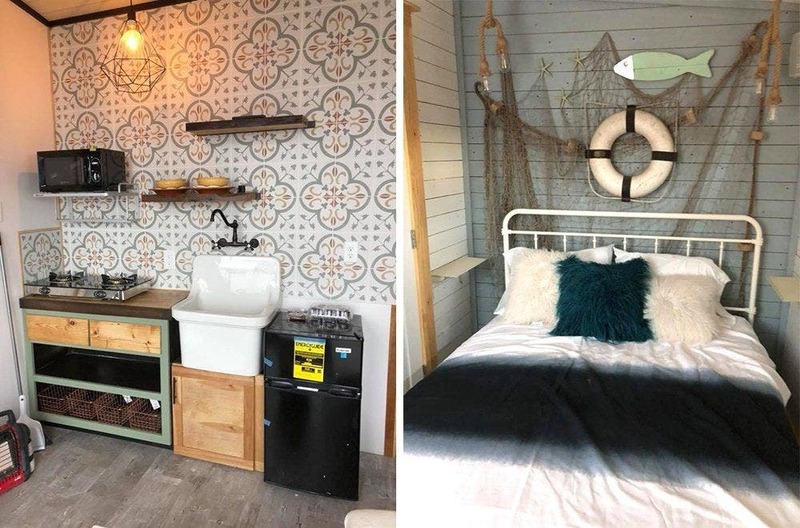 The blue trailer is from the 1950s and features a bed, shower, and kitchenette. 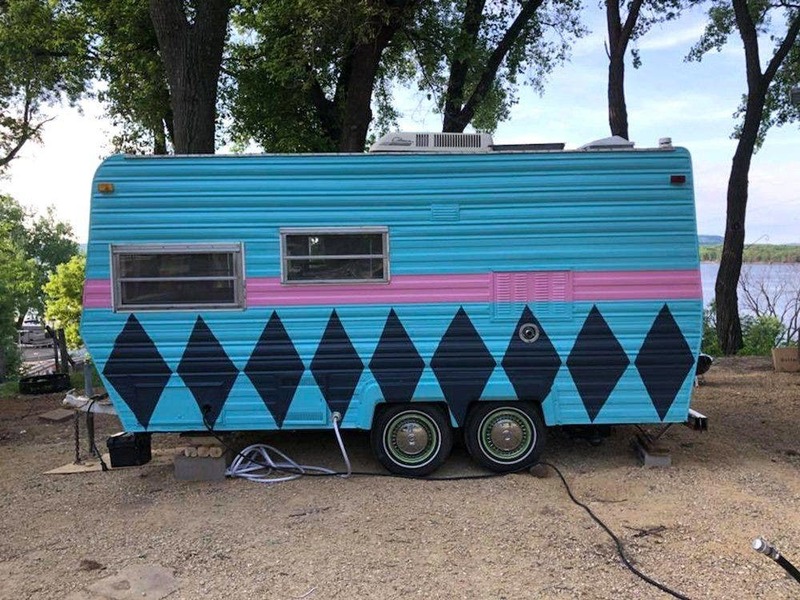 Rent a 1950s trailer named “Fat Bottom Girls”. The owners plan on expanding the resort over time and also offer their designs for sale. So if you decide you like any of these unique homes, you can discuss the details with the owners at their website. 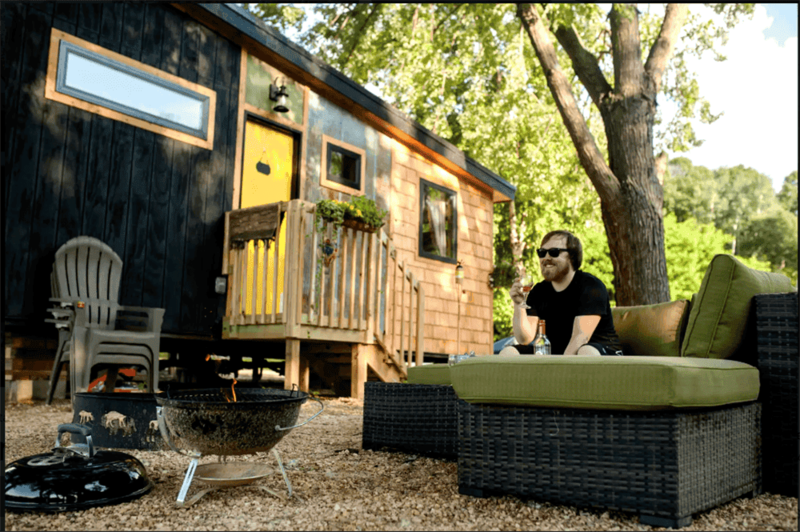 The resort’s tiny homes are also available on Hipcamp. “No Shoes, No Shirt, No Problem” has an outdoor hot tub. Contemporary setup for a room is always appealing!